Celebrating Puppy Day and Common Courtesy Day! 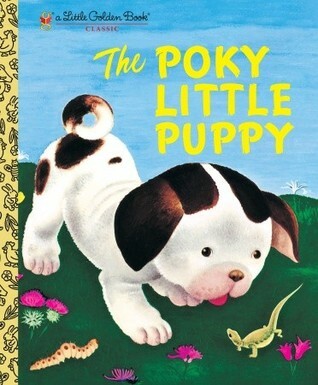 Since 1942 The Poky Little Puppy, written by Janette Sebring Lowrey and illustrated by Gustaf Tenggren, has sold more than 15 million copies! The poky little puppy and his four brothers and sisters dig holes under the fence and go exploring on the other side. But they soon learn not to dig holes or else they won’t get dessert. The most recent publication of this timeless classic was in 2001, which just go to show that children are still learning to follow rules! More recently, however, a new wave of authors and illustrators are teaching children in a very different way. They write and illustrate with a quirky sense of humor and a satiric tone. Parents and children rush the bookshelves for these new books. Mo Willems, author of the Naked Rat books, the Pigeon books, the Elephant and Piggie books, and the Knuffle Bunny books, is a prime example of what’s working with children’s literature today. I’d like to share two of the Pigeon books with you today to celebrate March 21st. First, The Pigeon Wants a Puppy! The lovable but misunderstood pigeon really, really, really, wants a puppy… until he encounters one. Now he wants a walrus! And, The Duckling Gets a Cookie!? Where, again, the lovable but misunderstood pigeon learns to get a cookie by asking politely. 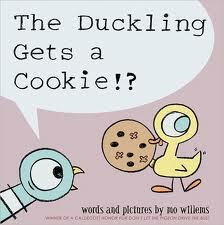 Of course, the twist is that the duckling, who had a cookie with nuts, gave it to the pigeon…. because he finally asked politely? Or because the duckling didn’t want one with nuts? We may never know. But the lesson learned is ‘ask politely’! So, the moral learned today is if you really, really, really, want a puppy, you should do two things: #1 Make sure it’s really a puppy you want and #2 Ask politely! Because, after all, today is PUPPY DAY and COMMON CURTESY DAY!